It is getting hard to see where Ubuntu Server ends and where the OpenStack cloud controller begins - and this is absolutely intentional on the part of Canonical, the corporate entity behind the Ubuntu distribution of the Linux operating system. 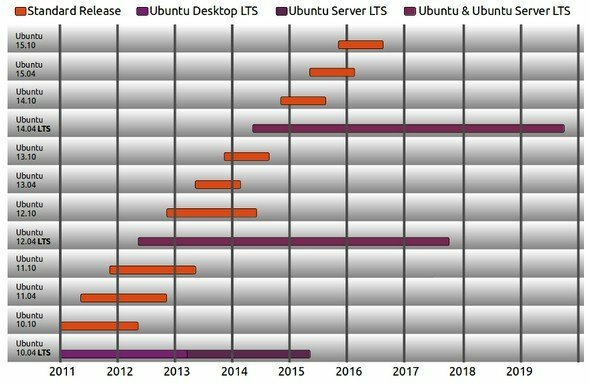 The Ubuntu Server 13.04 release that is coming out this Thursday is not one of the Long Term Support releases that Canonical puts out every two years and supports for five years. These LTS releases tend to be more popular with enterprises, service providers, and telcos given the longevity of their support. But the "Raring Ringtail" 13.04 release is important in its own right, given its tight integration with the new "Grizzly" release of OpenStack, which came out two weeks ago. The 13.04 release is based on the 3.8.0-19.29 Ubuntu Linux kernel, which itself is based on the Linux 3.8.8 upstream kernel. It is not clear what server processor hardware is enabled in this kernel from the Ubuntu 13.04 release notes, but Canonical has supported both x86 and ARM processors for a while now and it stands to reason that the 13.04 release is able to run on the forthcoming Intel "Haswell" Xeon E3 processors - which are expected around the beginning of June or so - and very likely the "Ivy Bridge-EP" Xeon E5 chips as well, given that they are expected to come to market sometime in the third quarter. The "Ivy Bridge-EX" Xeon E7 processors are not expected until the fourth quarter and can no doubt wait until Ubuntu Server 13.10. As El Reg was going to press, Canonical did not have this information to hand and it was not included in the release notes for the server edition (which often don't contain such data anyway). We will bootnote it when we get clarification from Canonical. The technical overview for Raring Ringtail says that you can upgrade from Ubuntu 12.10 to the new 13.04, and if you are on earlier releases, you have to upgrade your way to the 12.10 release before you can make the jump to 13.04. One interesting aside: The Wubi dual-boot loader for Windows systems, which carves out partitions on a Windows box so it can run Ubuntu, is not included with the 13.04 release. What is included, as you can see from the release notes, is Python 3.3 and a promise to support Python 2 for "the foreseeable future." On the desktop image of Ubuntu, Canonical says that it will eventually ship only with Python 3, and there is a strong word of encouragement to port Python 2 apps to Python 3. The CUPS printing software has been updated to 1.6.2 and no longer includes what Canonical calls a "huge, awkward" Ubuntu-specific patch to avoid regressions that was required in Ubuntu 12.10. As Mark Shuttleworth, founder of the Ubuntu project, explained at last week's OpenStack Summit, the big focus with Ubuntu Server 13.04 has been integrating the Grizzly release of OpenStack and making all of its various services – Nova compute, Glance image management, Swift object storage, Keystone identity management, Horizon management console, Cinder block storage, and Quantum virty networking – all redundant and highly available from the get-go and manageable through its Landscape Ubuntu operating system management console and integrated with its Juju software provisioning tool. While OpenStack Grizzly comes by default with Ubuntu Server 13.04, if you want to run it on the 12.04 LTS release you have to go to the Ubuntu Cloud Archive to get it. The Juju charms – basically scripts set up to provision application software atop Ubuntu and akin to recipes in the Opscode Chef tool that provides a similar function on systems – that have been created will run atop 12.04 LTS as well, according to Baker. At this point, the point release from last October, Ubuntu Server 12.10, is not being certified to run Grizzly although there is probably no reason why it would not work. Canonical provides an upgrade from 12.10 to 13.04 and suggests this is the best way to get to Grizzly. This will be the pattern going forward, says Baker, because customers either want to hang back on the LTS releases or stay on the cutting edge with whatever the most current release is. The good news is, Canonical will support either. Canonical is reiterating that it has worked with VMware to bring its ESXi server virtualization hypervisor into OpenStack Grizzly and making it a peer with KVM and Xen. Now, as Ubuntu Server and OpenStack builds are done every day, ESXI goes through the same regression testing that Xen and KVM get. Canonical has worked with Microsoft to make sure that Ubuntu Server works well on top of its Hyper-V hypervisor, and the two companies are looking at how Hyper-V might be integrated into OpenStack and be a peer as well. "We are starting to play a more hypervisor-agnostic role as we expand into the enterprise," says Baker. "I would not be surprised to see Hyper-V support in OpenStack and Ubuntu Server in the 13.10 or perhaps a later release." Ubuntu Server 13.04 includes the Ceph 0.56.4 "Bobtail" distributed object and block storage system, which is a replacement for Swift and Cinder in many minds, which is one of the reasons why last fall Shuttleworth kicked $1m of his own cash into Inktank, its creator. Ceph was first added to Ubuntu Server with the 12.04 release. Ceph is becoming a peer product to OpenStack for Ubuntu Server and is being packaged up in the Ubuntu Cloud Archive. The Swift object and Nova volume storage software that is the default in OpenStack will remain the default in the Raring Ringtail-Grizzly combo, but Ceph could eventually work its way in. Baker say that chunks of the Ubuntu.com web site are running atop Ceph because of the scalability and flexibility if the distributed storage server. On the networking front, once again it is all about OpenStack when it comes to Ubuntu Server 13.04. VMware's (formerly Nicira's) Open vSwitch 1.9.0 virtual switch for hypervisors is packaged with the release, and the Cloud Archive also includes a package for the plug-in for Quantum virty networking for the NVP controller created by Nicira. Like VMware's ESXi, NVP is not open source, but it is an important piece of software in network virtualization that Canonical cannot ignore. That said, Baker was perfectly clear that "as much as we like Nicira, we will be working with Big Switch networks for an open source option for software-defined networks." At this time, the Floodlight 0.9 OpenFlow controller is baked into Ubuntu Server 13.04, and Big Switch is a big fan of the Open vSwitch virtual switch. What fell sorcery is this? GCHQ: Yeah, but maybe don't make it too secure, ok?